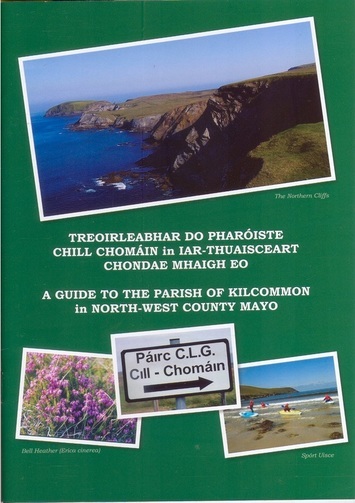 Scéalta chois cladaigh dá n-inseacht ag Seán Ó hInnéirighe (go ndéana Dia trócaire air) as Cill Ghallagáin in iar-thuaisceart Mhaigh Eo. Bailithe, aistrithe agus curtha i dtoll a chéile ag Séamas Ó Catháin. 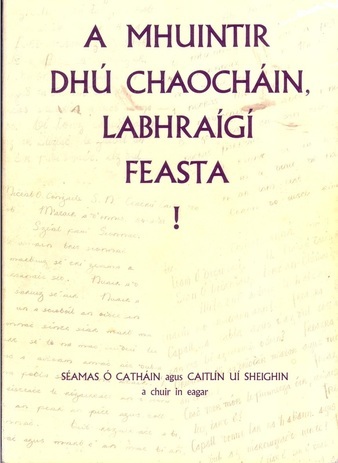 Sa bhliain 1937 cuireadh tús le scéim chun daltaí bunscoile a chur ag bailiú béaloidis. Scéim na Scol a tugadh uirthi, agus d’éirigh chomh maith léi go raibh níos mó ná leathmhilliún leathanach béaloidis scríofa agus curtha i dtaisce i gcartlann Choimisiún Béaloideasa Éireann taobh istigh d’ocht mí dhéag. Ar na scoileanna a ghlac páirt san obair bhí Scoil Náisiúnta Cheathrú Thaidhg, agus is uaithi sin a tháinig ceann de na bailiúcháin ab fhearr béaloidis a tiomsíodh le linn Scéim na Scol. I gcnuasach na ndaltaí tá idir sheanscéalta, fhinscéalta, amhráin, phaidreacha, sheanfhocail, tomhaiseanna, cur síos ar chomharthaí aimsire, ar leigheasanna, ar phisreoga, ar nósanna a muintire, ar a saol agus ar a dtimpeallacht. Cnuasach béaloidis ó thrí Scoil Náisiúnta i nGaeltacht Iorrais i gCondae Mhaigh Eo - Port Durlainne, Ros Dumhach agus Gleann na Muaidhe - a bailíodh faoi Scéim na Scol 1937-1938. I gcnuasach na ndaltaí tá idir sheanscéalta, fhinscéalta, amhráin, phaidreacha, sheanfhocail, tomhaiseanna, cur síos ar chomharthaí aimsire, ar leigheasanna, ar áitainmneacha, ar cheardanna, ar phisreoga, ar nósanna a muintire, ar a saol agus ar a dtimpeallacht. 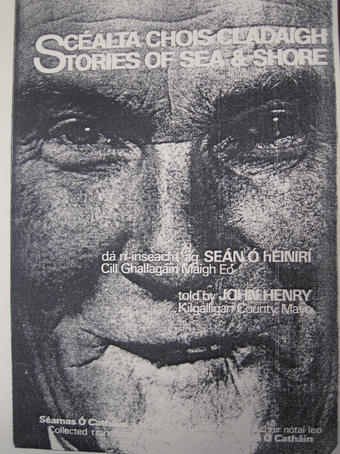 Seo é an dara tiomsú ó Ghaeltacht Iorrais atá curtha in eagar ag Séamas Ó Catháin agus Caitlín Uí Sheighin. 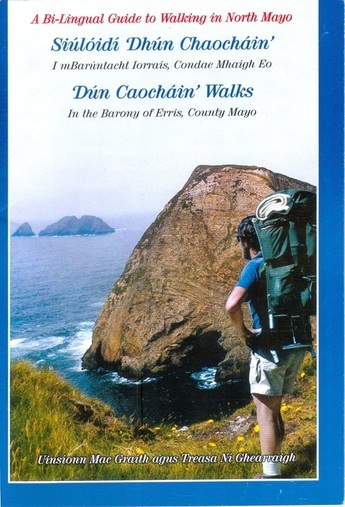 Tá aitheantas forleathain faighte ag siúlóidí Dhún Chaocháin i bhfoilseacháin éagsúla mar Lonely Planet, Walking World Ireland, The Irish Times agus Irland Journal. 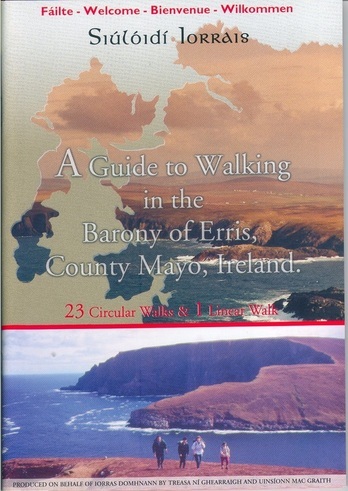 Ins an treoirleabhar seo tá cur síos ar chúig shiúlóid a bhfuil éagsúlacht fad agus dianacht ag baint leo, a thógann isteach ailt arda fiáine agus tránna fairsinge ó Bhéal Deirg siar go Port Durlainne, Port a’ Chlóidh, An Bhinn Bhuí agus Rinn Rua. Tugtar léargas don léitheoir ar an gceantar maraon le treoanna siúlóide agus eolas ar phointí suimiúla. Ins an treoirleabhar seo tá cur síos ar cheithre shiúlóid is fiche ar fud bharúntacht Iorrais, ó Pháirc Náisiúnta Bhaile Chruaich sa deisceart chomh fada le ailt arda fiáine Dhún Chaocháin sa tuaisceart, agus siar go dtí na dumhacha agus cósta an Atlantaigh fhiáin ag Gaoth Sáile agus leithinis an Mhuirthid. Dlúthdhiosca eiseamláire a thugann léargas, tríd na logainmneacha, ar oidhreacht Dhun Chaocháin, ceantar Gaeltachta i dtuaisceart Chondae Mhaigh Eo. Tá 1,500 logainm curtha ar mhapa (le miniú agus cuir síos beacht, fuaimeanna, agus griangrafanna leo) chomh maith le scéalta agus amhráin. Áis eolais foghlama agus taighde atá ann don phobal is leithne. 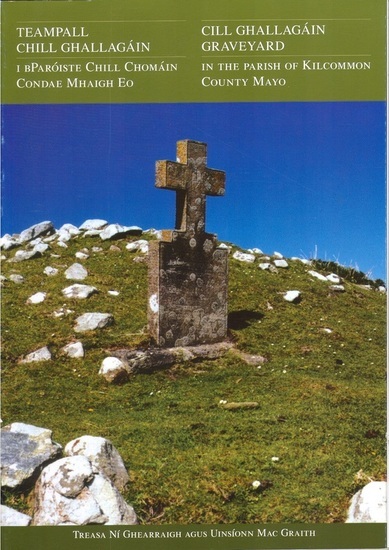 Déanann an leabhar cuir síos ar an saibhreas béaloidis agus oidhreachta atá le fáil i nGaeltacht Dhún Chaocháin i gCondae Mhaigh Eo. Tá 1,500 logainm Gaeilge breactha síos ar mhapaí a thugann léargas dúinn ar shaol na ndaoine a mhair is a mhaireann sa dúiche ársa seo. 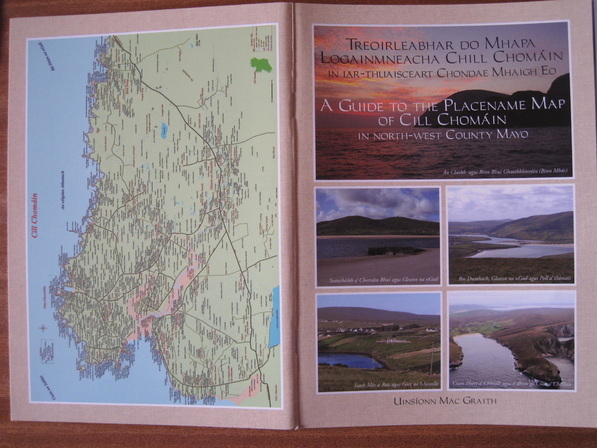 Déantar cur síos ar ghnéithe talmhaíochta (an córas rondála, an bhuaile, sean-iomairí, na fataí, ag spealadóireacht agus ag sábháil féir, an grán, an áith aoil), an teach traidisiúnta tuí, an portach, ag baint na móna, cúrsaí iascaireachta agus ceirdeanna dúchasacha (gréasaí, gabha, cúipéir, táilliúir). Tobar fíoruisce, bailiúchán saibhir luachmhar atá le fáil ag an glúin reatha agus atá caomhnaithe do na glúnta atá le teacht. 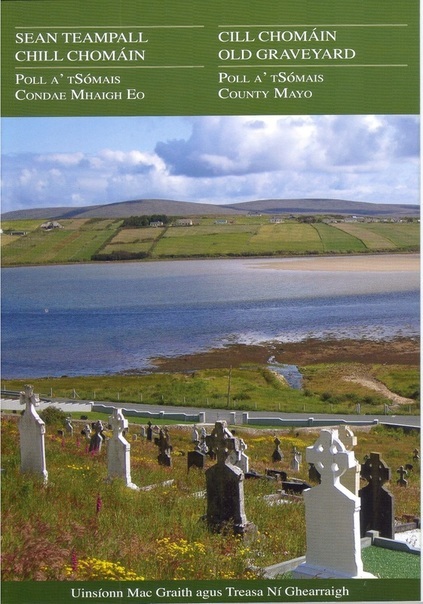 Agus é ag seoladh an leabhair san RDS i mí Eanair 2005 dúirt An t-Aire Uí Chúiv "Má tá muid chun an ghné thábhachtach seo dár ndúchas a chaomhnú tá sé práinneach go ndéanfaimis na mionlogainmneacha a bhailiú, a thaifeadadh agus a mhapáil go cruinn anois, agus na torthaí a chur i láthair an phobail. Is léir go bhfuil sin déanta i gcás cheantar stairiúil Dhún Chaocháin ag na daoine a chuir an saothar álainn seo le chéile." Foilseachán ildaite, dhá-theangach a chuireann eolas ar fáil do chuairteoirí, nó daoine atá ag bogadh isteach sa gceantar ó áiteanna eile, ar na seirbhísí agus na himeachtaí atá le fáil i bparóiste Chill Chomáin. Ina measc tá ionad seirbhísí teanga, lóistín, siúlóidí, saol na mara, slatiascaireacht, tránna, éaneolaíocht, seandalaíocht, conair dealbhóireachta, conair oidhreachta Turas na Gaeltachta, seirbhísí réamhscoile, imeachtaí óige, seirbhísí aosach, taisteal, oideachas, oiliúnt, seirbhísí sláinte, ionaid poiblí, séipéil, áiseanna spóirt, siopaí grósaera agus oifigí poist, tithe tabhairne agus seirbhísí athchúrsála. 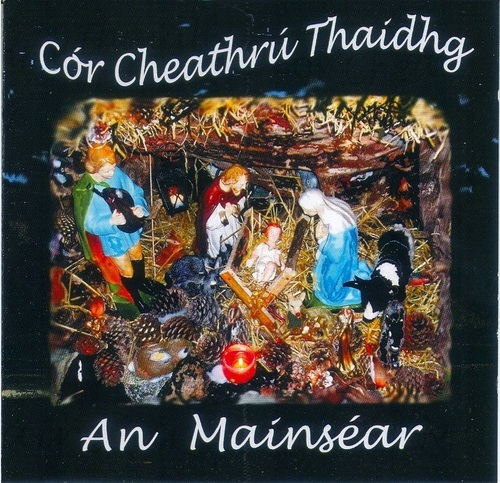 Tá An Teampall, ceann de chúig reilig i bparóiste Chill Chomáin, suite i mbaile fearainn Chill Ghallagáin agus tá daoine ag baint úsáid as mar theampall leis na céadta bliain. Tá na huaigheanna is luaithe, atá marcáilte le clocha simplí, suite air agus thart ar an ardán sa gcúinne thoir thuaidh. 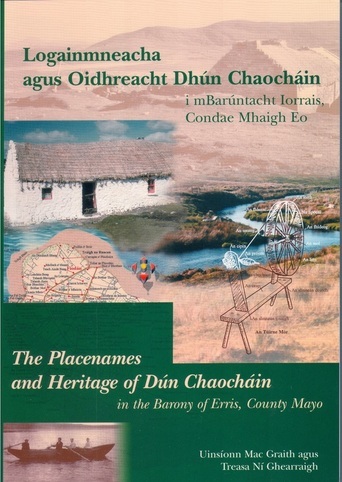 De réir an tseanchais is anseo a bhí cill ag Naomh Ghallagáin, naomh-phatrún an cheantair. Is é cuspóir an fhoilseacháin seo ná oidhreacht an teampaill, a shíneann ó luath sa Tréimhse Críostaí síos go dtí an lá atá inniú ann, a chaomnú. Cuirtear plean ar fáil sa gcaoi is gur féidir le daoine uaigheanna a muintir a aimsiú go réidh agus déantar cur síos ar sonraí scríofa na gclocha cinn. Treoirleabhair dhá-theangach atá mar áis tagartha do fhreastalaithe altóra a dhéanann, agus a dhéanfaidh, freastal ar an Aifreann i bparóiste Chill Chomáin. 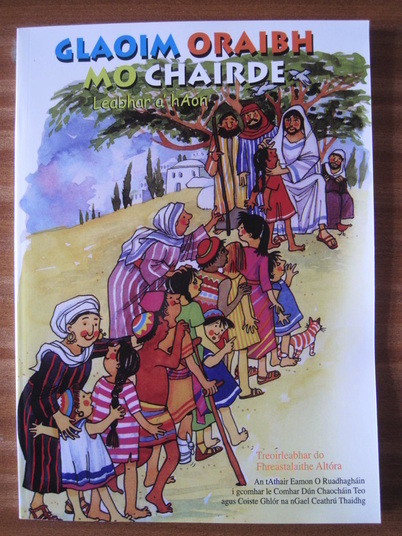 Clúdaitear ábhar a bhaineann le saol na heaglaise – stair na Críostaíochta sa pharóiste, ról agus dualgaisí an fhreastalaí altóra, paidreacha Gaeilge, beannachtaí, an tAifreann, féilte na bliana, mion-theagasc Críostaí, téarmaíocht &rl. Tá Seanteampall Chill Chomáin, ceann de chúig reilig i bparóiste Chill Chomáin, suite i mbaile fearainn Poll a’ tSómais agus tá daoine ag baint úsáid as mar theampall leis na céadta bliain. Is éacute; cuspóir an fhoilseacháin seo ná oidhreacht an teampaill, a shíneann ó luath sa Tréimhse Críostaí síos go dtí an lá atá inniú ann, a chaomnú. Cuirtear plean ar fáil sa gcaoi is gur féidir le daoine uaigheanna a muintir a aimsiú go réidh agus déantar cur síos ar sonraí scríofa na gclocha cinn. I 2012 bhí sé céad bliain ó leagadh síos bunchloch Réalt na Mara - Teach a’ Phobail an Chorráin Bhuí. 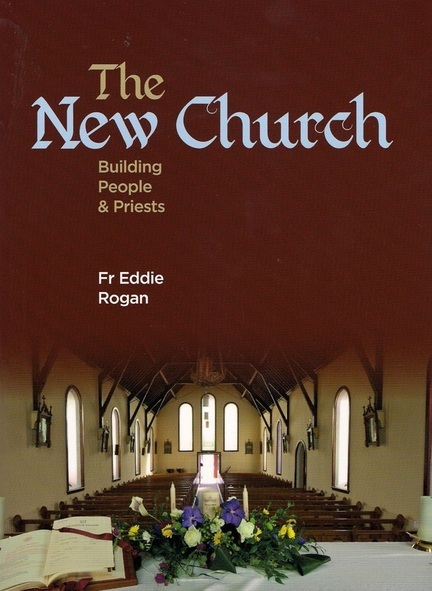 In omós na hócáide scríobh an t-Athair Eddie Rogan leabhar fíor-chuimsitheach a dhéanann cur síos ar stair an fhoirgnimh, ar mhuintir na háite agus ar na sagairt a d’freastal ann. 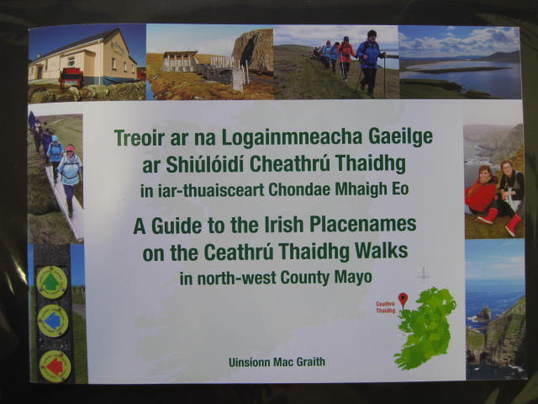 Is í aidhm an fhoilseacháin ‘Treoir ar na Logainmneacha Gaeilge ar Shiúlóidí Cheathrú Thaidhg – A Guide to the Irish Placenames on the Ceathrú Thaidhg Walks’ ná léargas a thabhairt ar an tírdhreach fisiciúil agus daonna. Is furasta do phobal Dhún Chaocháin an timpeallacht a thuiscint, mar maireann siad i dtírdhreach atá breacaithe le ainmneacha Gaeilge, a thugann míniú do na gnéithe tíre agus ionad dóibh i saol an phobail. 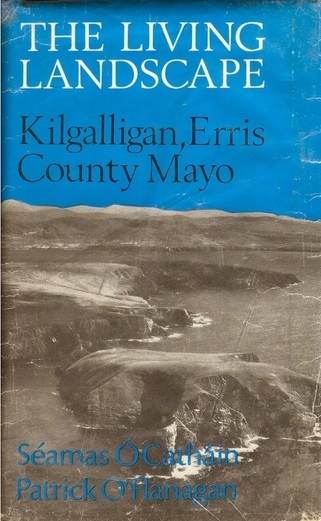 Tá ainm ar bheagnach chuile ghoilín, uaigh, bhoilg, charraig, chnoc, cheann tíre, pháirc, fiodán agus araile agus tugann siad léargas ar shlí bheatha agus ar nósmhaireacht an phobail san am a caitheadh. Sa leabhrán seo, tá na logainmneacha breactha ar ghrianghraif daite a chuidíonn leis an léitheoir iad a aithint ar an talamh. Is furasta do phobal Chill Chomáin an timpeallacht a thuiscint, mar maireann siad i dtírdhreach atá breacaithe le ainmneacha Gaeilge, a thugann míniú do na gnéithe tíre agus ionad dóibh i saol an phobail. Tá ainm ar bheagnach chuile ghoilín, uaigh, bhoilg, charraig, chnoc, cheann tíre, pháirc, fiodán agus araile agus tugann siad léargas ar shlí bheatha agus ar nósmhaireacht an phobail san am a caitheadh. Faoi scéim fostaíochta pobail Ghlór na nGael i 1996 a thosaigh Uinsíonn Mac Graith ag déanamh bunobair ar thionscnamh bailiúcháin logainmneacha Dhún Chaocháin. Ina dhiaidh sin thacaigh Údarás na Gaeltachta agus An Comhairle Oidhreachta leis an dtionscnamh agus bailíodh agus mapáileadh os cionn 1,500 logainm áitiúil, atá foilsithe sa leabhar Logainmneacha agus Oidhreacht Dhún Chaocháin (2004) agus ar Dhlúthdhiosca Dhún Chaocháin (2001). 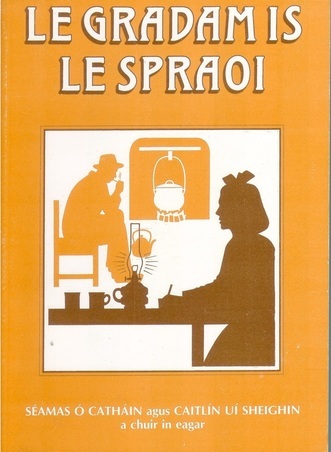 Is í aidhm an fhoilseacháin seo ná cuid de na logainmneacha sin, maraon le logainmneacha ó pharóiste Chill Chomáin agus Béal Deirg, a chur ar aon mhapa amháin. 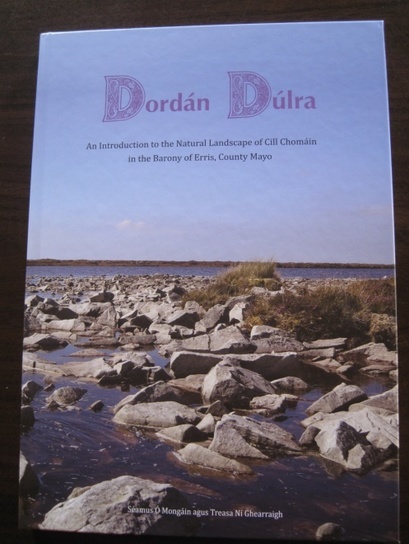 Tugann an leabhar ildaite ‘Dordán Dúlra’ léargas don léitheoir ar na gnáthóga éagsúla atá le fáil i bparóiste Chill Chomáin agus ar na plandaí agus ainmhithe a mhaireann iontu. Cuireann na híomhánna, a tharraing daltaí scoile Cheathrú Thaidhg ar an timpeallacht agus ar an dúlra, go mór le áilleacht an leabhair. 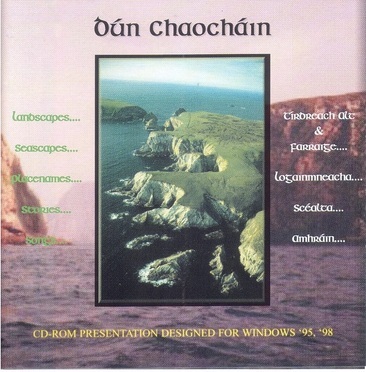 Nuachtlitir pobail atá foilsithe ag Comhar Dún Chaocháin Teo chuile cheathrú ó Lúnasa 2005. Is féidir iar-irisí a fháil ar éileamh. Seo é an dara dhlúthdhiosca d’iomann ó Chór Cheathrú Thaidhg. Bailiúchán de cheithre iomann déag na Nollag atá sa dhlúthdhiosca seo atá curtha le chéile go fíor snasta. Seo é an chéad dhlúthdhiosca le bailiúchán poirt ó bhosca ceoil Vincent Mc Grath. 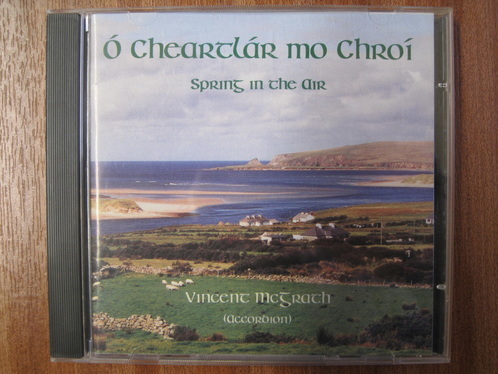 Nuair a d’éirigh Vincent as a phost mar mhúinteoir, shocraigh sé i Ros Dumhach, a bhaile dhúchais. 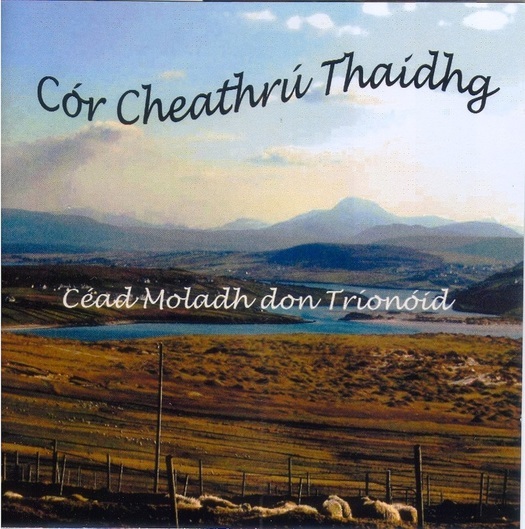 Tugtar aitheantas agus ómós do traidisiún cheoil agus damhsa a mhuintir - “cloch amháin eile ar leacht a shinsear”.